Frontier Airlines launches its first ever service to Cuba today with the start of its first flight from Miami International Airport to Havana’s Jose Marti International Airport. 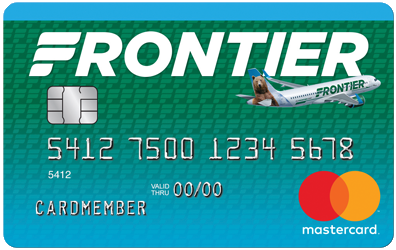 To celebrate this new service, Frontier is offering special introductory fares as low as $59*. Additionally, customers have the choice of adding the the WORKS℠ bundle to these special sale fares for as low as $71 each way. Customers can take advantage of Frontier’s bundled choice, the WORKS℠, containing Frontier’s most popular options for one low price. The WORKS℠ is available at FlyFrontier.com at time of initial booking and includes one carry-on bag, one checked bag, best available seat including Stretch and Exit Row options, full refundability when canceled at least 24 hours prior to scheduled departure, no change fees and priority boarding. Frontier Flight 14 leaves Miami every day at 8:45 a.m. and arrives Havana at 9:53 a.m. The return Flight 15 leaves Havana at 10:55 a.m. and arrives Miami at 12:03 p.m. Frontier has timed its flights between Miami and both Denver and Las Vegas to offer easy one-stop connections to Havana. Havana joins a list of other warm weather leisure destinations in Latin America and the Caribbean where Frontier offers service. The others include Cabo San Lucas, Cancun and Puerto Vallarta, Mexico as well as Punta Cana, Dominican Republic. Frontier is the only US low-cost carrier to serve Miami, and in addition to the Havana non-stop, Frontier also offers non-stop service to Chicago-O’Hare, Denver, Las Vegas, New York–LaGuardia and Philadelphia. * Tickets must be purchased by 11:59 pm Eastern time on Dec. 8, 2016 for daily international travel from Dec. 1, 2016 through April. 20, 2017. Fare(s) shown includes all transportation fees, surcharges and taxes and are subject to change without notice. Seats are limited at these fares and certain flights and/or days of travel may be unavailable.